This project took us to Prudhoe Bay, Alaska, to a plant that recycles, and compresses gas generated from oil extraction in the Prudhoe Bay Oil Field. 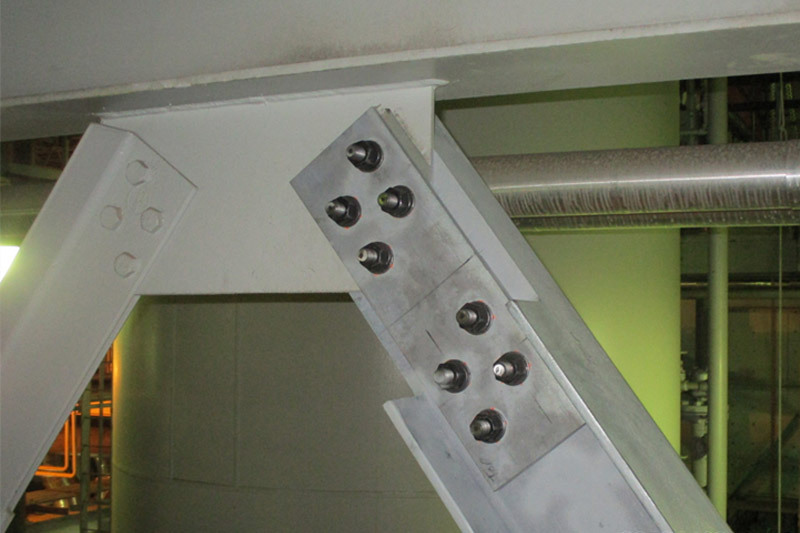 The metal deck and concrete floors of this modular plant were quickly deteriorating, allowing water to penetrate and corrode the decking and structural steel below. 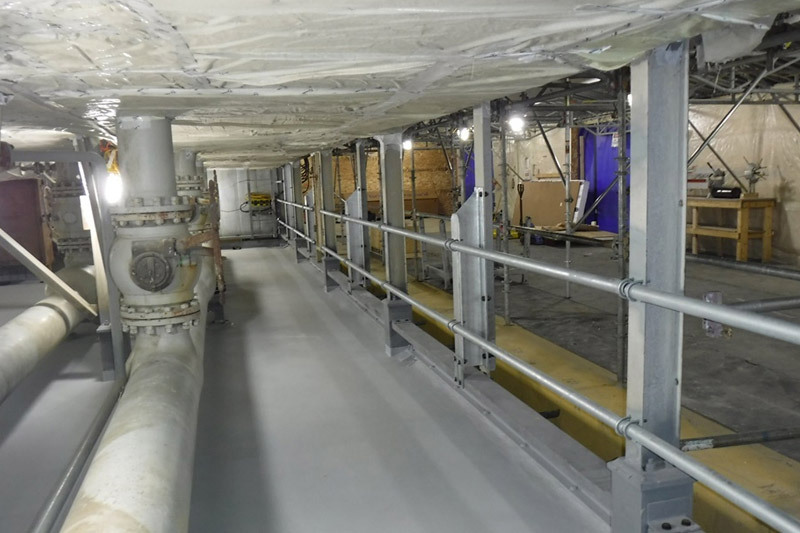 We replaced and reinforced the lightweight 6-inch concrete floors with a different type of metal decking and 8-inch reinforced concrete, while simultaneously having to support the high pressure (> 4000 psig), large diameter piping system. 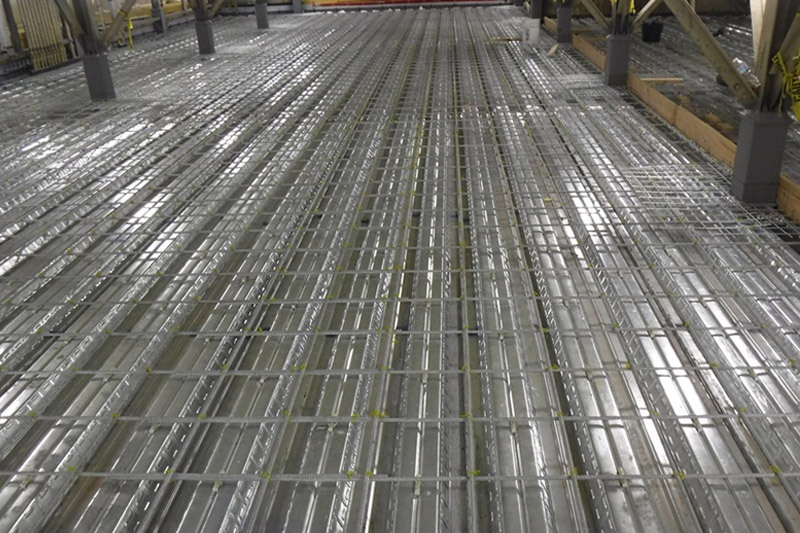 To prevent future damage to the new concrete floor, our team designed cooling fan vibration stiffening systems, which diverted vibrations from the floor to the building’s main structure and then to the ground. 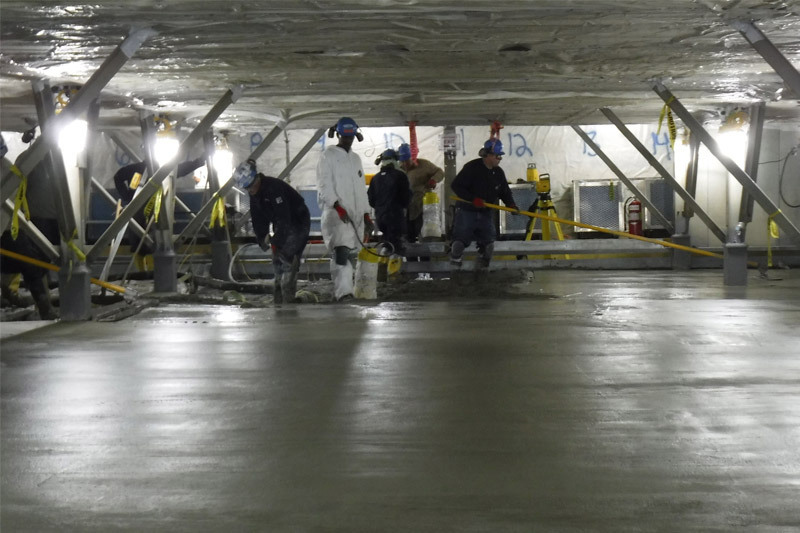 For our team to place concrete in the harshest winter months, where the lowest temperatures in the U.S. have been recorded with less than 15% average relative humidity, we developed a temporary climate-controlled structure that allowed us to apply steel coatings and other temperature-sensitive materials, and pump and pour concrete. 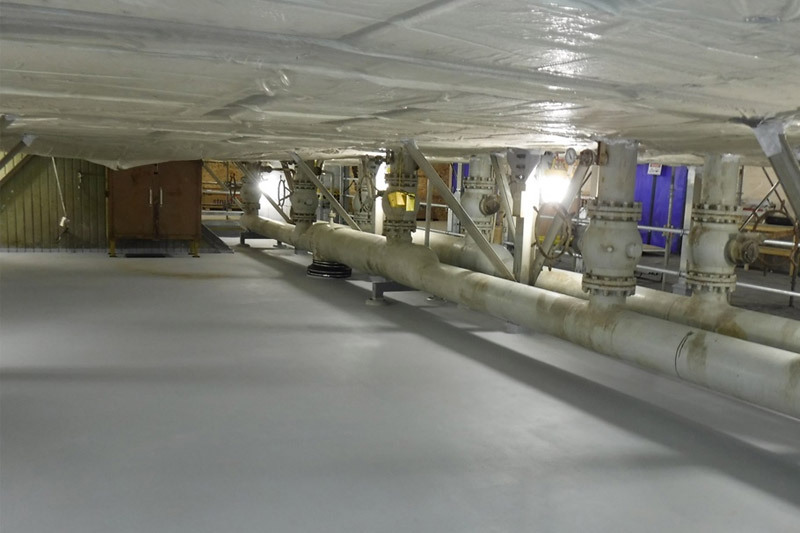 Talk about extreme temperatures: Each floor of the plant sat above large compressors generating high heat while supporting equipment and piping exposed to arctic temperatures—the plant sits on the Arctic Ocean coast, 60 feet above grade. 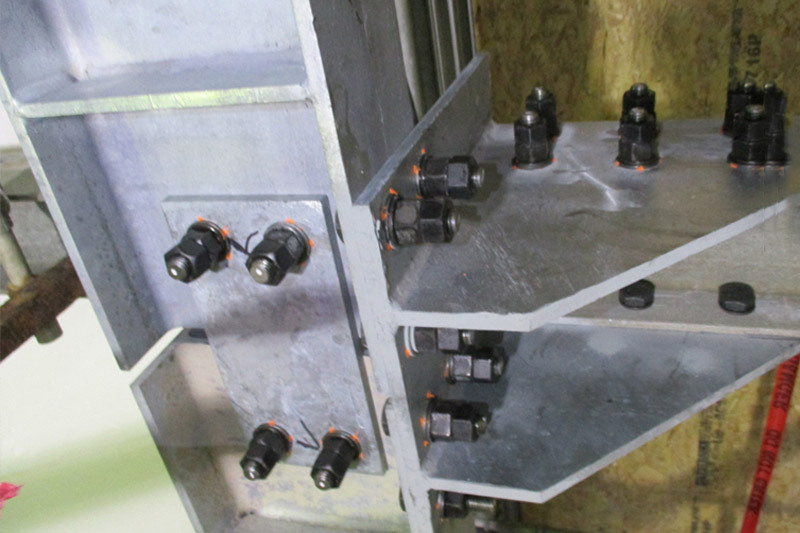 The plant is in a remote location: We needed to specify and procure materials suitable for this environment and plan for any potential challenges, so we could BE the reliable solution no matter the circumstance. 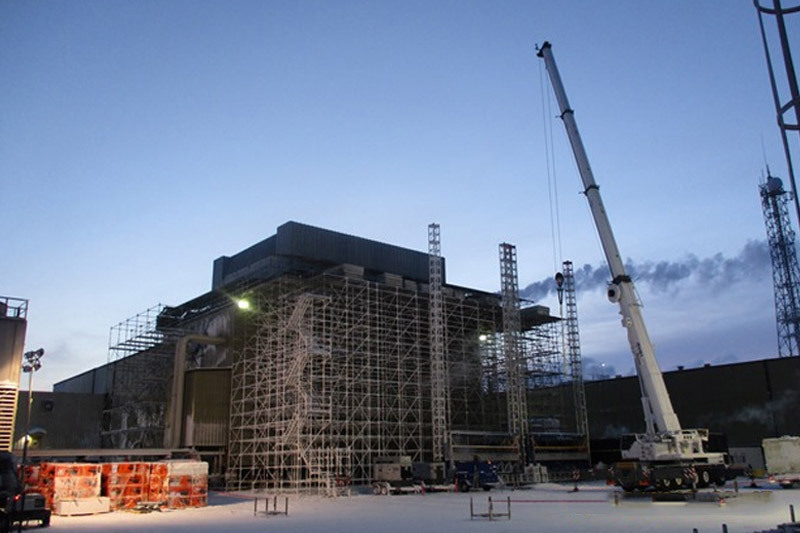 We replaced the floors in nine modules on time and on budget without incident, and under some of the industry’s most stringent specifications and safety guidelines and under some of the harshest conditions on planet earth. As a result, more modules are planned.